At Cafès Cornellà, you can discover what is behind a good coffee, what the differences between the blends are, and find out about our techniques. Cafès Cornellà is decoding the world of coffee. Cafès Cornellà supplies products, ingredients and systems to provide the hospitality sector with complete satisfaction through quality and profitability. We aim to be the preferred provider of coffee and become the specialist partner for the hospitality sector. We work hard so that the end consumer obtains a perfect cup of coffee, as well as other drinks in which roasted coffee is the main ingredient. Through close collaboration and with the help of our customers, we offer products and services with high added value. We aspire to create an organisation in which we can work with pride, enthusiasm and responsibility. Each day we study how we can be more cost effective. At Cafès Cornellà, we have the responsibility to reduce costs, be proactive and react quickly. It is our obligation to remain open to new ideas and original ways of doing business. We are fair, honest and confident in all our activities and business relationships. The brothers Narcís and Pere Cornellà established the first coffee roasting factory in Girona. It was a completely new activity and, in a short time, they became the main supplier of coffee throughout the counties of Girona. This industrial adventure that began in 1920 has been maintained and strengthened over the course of almost a century, with the same family holding the reins throughout. Son Pere Cornellà i Prujà became part of the activity. With the new standards required regarding the sale of packaged coffee, Cafès Cornellà acquired the second automatic coffee packaging machine in the whole of Spain. With Pere Cornellà i Valls, the third generation of the family was incorporated into the company. A change of location, moving from the centre of Girona to Fornells de la Selva, operating in an industrial warehouse where production processes are fully automated, both with regards to the roasting process as well as the mixtures and vacuum packaging of all its products. In addition, the company has an analysis laboratory to develop new roasting formulas. Since the start of this new stage, the company has specialised in the hospitality market. The strong points our strategy for the hotel industry are based on are: a quality product (blends, modern roasting and packaging systems, and image) well above average; and a good customer care service with a high level of organisation when it comes to direct distribution. The 25 million cups of Cafès Cornellà coffee served annually are proof of the trust placed in a century of knowledge, accumulated by the three family generations. We have become a young, dynamic and creative company which seeks to constantly meet the demand and the evolving taste of coffee. Currently, we offer the most up-to-date services in maintenance, advice and technical resources necessary to contribute to the strengthening of our customers’ businesses by providing a definition of an espresso coffee as the final product. Centenary of Cafès Cornellà. Accompany us for the next 100 years. The Ramon Noguera Foundation was founded on December 15, 1995, through an agreement of the General Assembly of the Àngelus Association, with the desire to give the new entity the responsibility of managing all the centres and services for people with intellectual disabilities. In doing so, it gave continuity to the work started by the association of families and made advances in the establishing of rights for people with disabilities. Cafès Cornellà collaborates in projects promoted by the foundation to facilitate reintegration into the labour market in the area of cafeterias. Xangara is a non-profit association that has organised and carried out solidarity projects (humanitarian, schools, health, agriculture, etc.) in Mozambique. However, they do not rule out setting up projects in other countries or collaborating in any specific projects with an NGO. The association’s board is made up of a group of seven people from various professions –from veterinarians to administrators– who have joined together to fulfil one objective: to provide humanitarian aid to improve the quality of life of the people of Mozambique. Cafès Cornellà collaborates in projects promoted by the Xangara association by allocating a percentage from the sale of roasted coffee. These projects were intended to pay for the schooling of girls who are in orphanages and do not have any kind of financial resources to receive a decent education or to improve their future prospects of their lives. we collaborate with various local employment programmes in the province to train young people so they may have a chance in the world of cafeterias. The Creativació Foundation is a private non-profit organisation made up of a Board of Trustees, a technical team and a series of companies and organisations who collaborate to promote creativity and innovation in the field of education and the family. Its goal is to raise awareness and work with schools and families to educate in creativity and children's talent. If you ever read the text on a packet of coffee, you will see the packaging includes many symbols, terms and various certifications. As a consumer, it is difficult to know what they mean, however this is important when buying coffee. At Cafès Cornellà we take these certifications seriously when we look for the best sources to get the most suitable blends for every occasion. As a company, we adhere to the philosophy that treating people and the environment well provides the best results in the cup of coffee. To make your next coffee purchase easier, we will explain the most common certifications with a brief description of their requirements. The Fair Trade Certified ™ label represents an alternative to conventional trade and is based on cooperation between producers and consumers. Fairtrade offers producers a fairer deal and more appropriate commercial terms. This allows them to improve their living conditions and make plans for the future. For consumers, Fairtrade is an efficient way to reduce poverty through their everyday purchases. When a product has the FAIRTRADE certified seal it means that the producers and traders have fulfilled the Fairtrade criteria. The aim of the criteria is to correct the imbalance of power in trade relations, market instability and the injustices of conventional trading. 1. Direct trade with farming organisations, excluding unnecessary intermediaries. 2. Fair prices for agricultural farmers and decent working and living conditions for workers. 3. Free association of workers and agricultural farmers, with democratic decision-making structures in place. 4. Access to the pre-financing and additional bonuses for community and business development. 5. Sustainable agricultural practices and farm management, including the restricted use of agrochemicals and without using GMOs. Cafès Cornellà has one product available with this certification. The organic certification guarantees that the products have been produced or processed following organic farming standards, which have been monitored throughout the production, processing, packaging and marketing processes. Organic plant products are products which have been grown without the use of fertilisers or synthetic chemical pesticides (fungicides, insecticides or herbicides). This means that there is no residue from these substances. Only organic fertilisers and natural minerals are used and nitrogen fertilisation is limited to 170 kgN / ha per year (as in vulnerable zones). Plant health is based on prevention methods and only natural pesticides that are included in Annex II of Regulation (EC) 889/2008 can be used. GM crops are not allowed to be used. 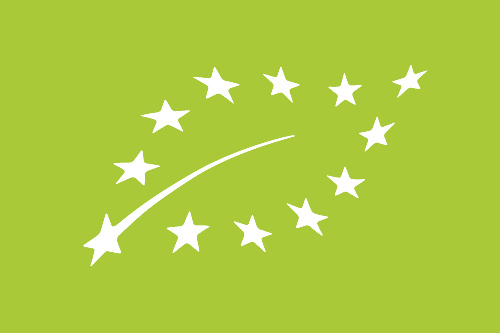 On the label, we have to identify the Euro-leaf with the controlling authority's code, which in the case of Catalonia is ES-ECO.019-CT, as well as stating the origin of the raw materials, whether they are from within the EU or outside it. Cafès Cornellà has one line of products available with this certification. The US Department of Agriculture has created strict guidelines for foods which are labelled as organic. With regard to coffee, it refers to how the coffee is cultivated, roasted and packed. Organic coffee beans are cultivated and processed in accordance with a strict set of guidelines that are monitored at every stage by an independent certification agency. The guidelines specify which types of organic fertilisers, integrated pest management systems and other organic control measures in place for weeds and fungi are allowed. The Rainforest Alliance certification is a comprehensive process that promotes and guarantees improvements in agriculture, forestry and tourism. Its independent seal of approval ensures that goods and services are produced in accordance with strict guidelines that protect the environment, wildlife, workers and local communities. It ensures the development of sustainable agriculture through the conservation of biodiversity, respect for workers' rights and best practices in agricultural production. UTZ aims to create a world where sustainable agriculture is the model. One in which farmers implement good agricultural practices and manage their businesses showing respect for people and the planet; industry invests and rewards sustainable production and consumers can enjoy and trust the products they buy. The UTZ certification system enables producers to demonstrate that they operate in a responsible way, in accordance with strict social and environmental standards (preserving the flora and fauna, transition areas and ensuring the health and safety of workers).